I started this project shortly after Taj Mahal. 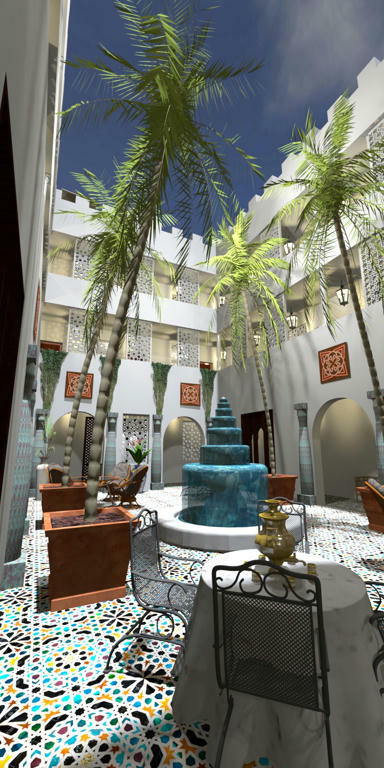 1st phase : general view of a modern riad and vintage. 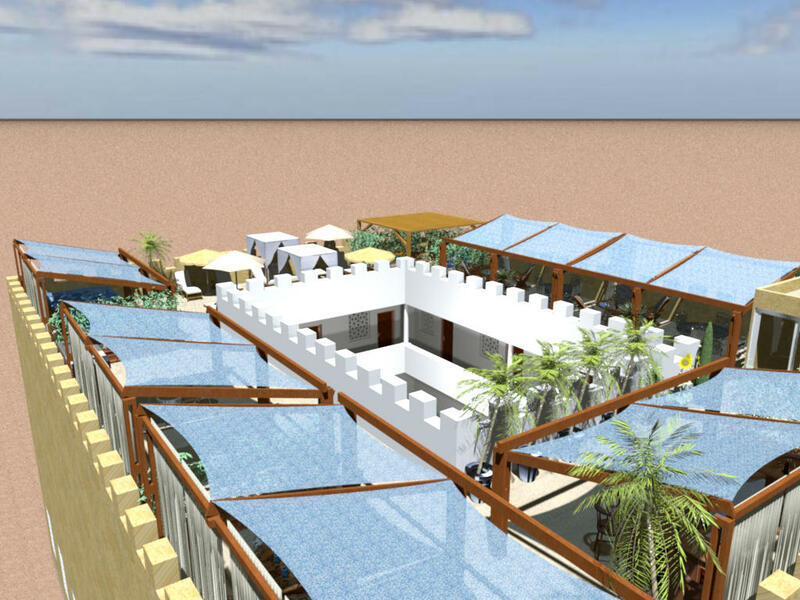 Oh nice..... show us the courtyard rendering please. 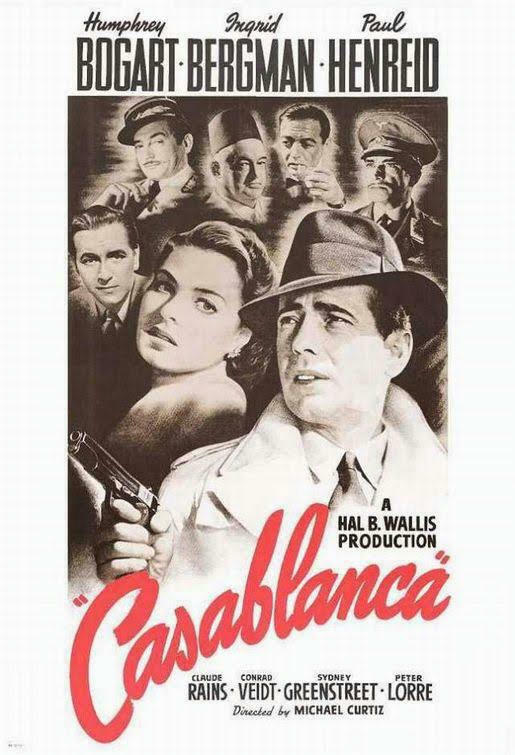 Casablanca everywhere in the forum! Nice! 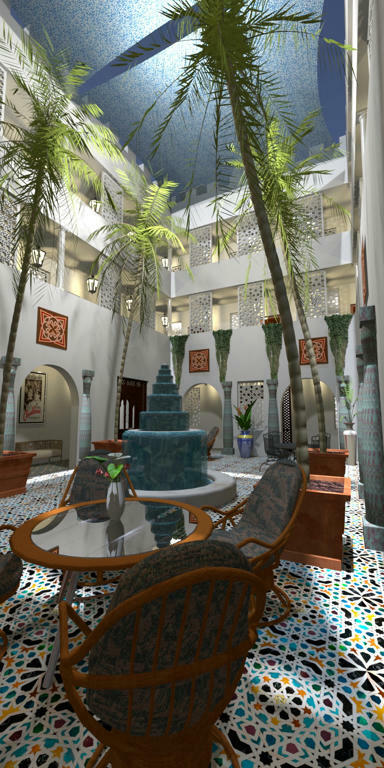 Yes, I was the first who spoke about Casablanca when mike53 has shown his riad (from my memories). At these latitudes, the sun is hard, for this riad, they installed a big pergola near the roof shown in the 'little' Morning. TY Vero, its seems like holydays and the next picture will grow up this idea ! The picture is higher than larger (1,024 x 2,048) to see palm trees and roof. 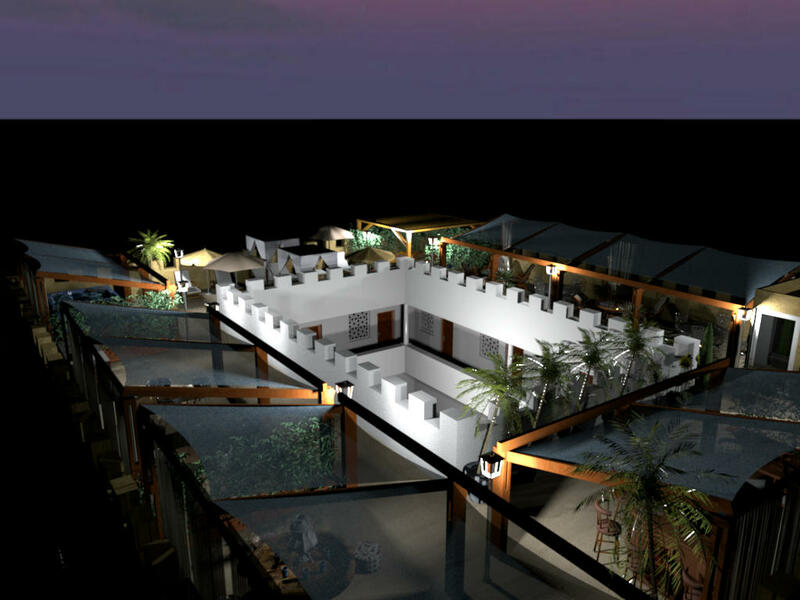 On this courtyard, the pergola is unavailable. 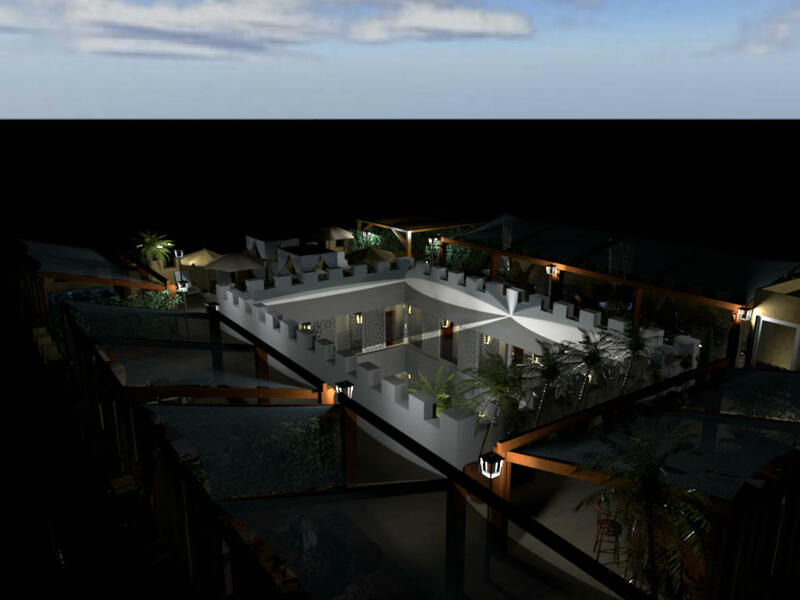 The next picture shows the right corner with the pergola on roof !